Hungary’s far-right prime minister has forged new partnership with Italy’s ultra-right interior minister, calling for European “anti-migration politicians” to take over the continent’s institutions in the upcoming elections. “This is a topic that is radically transforming European politics, it’s the defining political process in Europe,” said Victor Orban during a Thursday news conference with Italy’s populist Interior Minister Matteo Salvini in the capital Budapest. “The party structures, traditionally left or right, are being taken over by a different dimension – those for migration and against immigration.” Orban added. Salvini made the remarks after he met with chief of Poland’s governing Law and Justice party (PiS), Jarosław Kaczynski, who is regarded as the most powerful politician in the country. “The Warsaw-Rome axis is one of the most wonderful developments of the year so far. 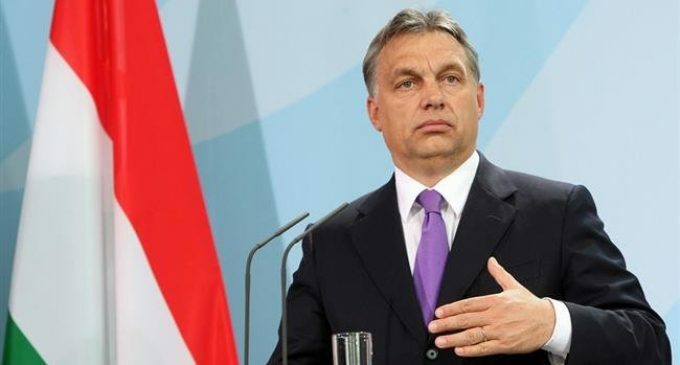 I have high hopes for it,” Orban further emphasized on Thursday, setting out a position as Europe’s most staunchly anti-migration statesman in recent years. The combative 55-year-old — who has emerged as a self-styled “illiberal” figurehead for nationalist politicians in Europe — hailed Italy’s Salvini as “brave” for his anti-immigration stance. Orban further insisted that Hungary’s goal was to gain an anti-immigration majority in the European parliament, then in the executive European commission, and later — as national elections change the continent’s political landscape — the European council, where the continent’s national leaders adopt the most important EU policies. In contrast, he described Salvini “a hero in my eyes” for his anti-refugee positions. This is while Pope Francis warned earlier in the week against a resurgence of nationalist and populist movements, slamming countries that try to solve the refugee crisis with unilateral or isolationist efforts. Pope Francis has urged EU leaders to show concrete solidarity with 49 refugees stranded on NGO ships off the coast of Malta. Speaking to diplomats in an annual speech known informally as his “state of the world” address, the pope further implied that such movements and closed-door policies were turning the clock back 100 years to the dangerous period between the world wars. Relationships within the international community “are experiencing a period of difficulty, with the resurgence of nationalistic tendencies,” he emphasized. In his hour-long speech, the Pope repeatedly mentioned the League of Nations, which was set up after World War One with the purported aim of promoting peace, but failed to halt the nationalist and populist movements that facilitated the move towards World War Two. “The reappearance of these impulses today is progressively weakening the multilateral system,” Francis said in his speech before envoys from 183 countries.